A plan to tax auto insurance premiums 6.5 percent starting in 2016 to pay for North Carolina roads was abruptly dropped Tuesday, according to WRAL. But while that’s probably positive news for collision repairers, the effective end of a shop licensing bill co-authored by a state auto body association is a bit of a blow from the Capitol. Sponsor state Rep. John Torbett, a Republican, said the insurance tax that was part of House Bill 927 “is not going to be in there” during a Transportation Committee meeting, the TV station reported. He didn’t give a reason, according to WRAL. The bill was expected to produce $75.3 million in the 2015-16 fiscal year and as much as $183.1 million by the 2019-20 fiscal year. The station in April cited an Insurance Department estimate that the average North Carolina premium was $1,628 in 2013, meaning a $106 tax. Insurance Commissioner Wayne Goodwin, a Democrat, has opposed the tax — and still said as much at the committee even after Torbett pulled it, according to WRAL. “It would amount to the highest across-the-board increase on car insurance in 30 years,” Goodwin said, according to the station, and said the cost would just be passed onto the customer. The bill — which is apparently moot now — hadn’t been on the radar of the Independent Garage Owners of North Carolina, Executive Director Bob Pulverenti said Tuesday. “Our lobbyist hasn’t mentioned it,” Pulverenti said. There doesn’t appear to be a Senate companion bill, based on our own check and media reports. An insurance tax could’ve been an issue for collision repairers if it’s passed on to consumers who subsequently drop or fail to get collision or comprehensive coverage because of cost. And if insurers don’t pass it on to customers and instead get stingier about what parts or repairs they’ll reimburse, that’s a problem too. 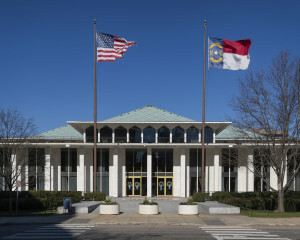 The North Carolina licensing bill, Senate Bill 454, was partly written by Pulverenti’s organization, which intended it to combat “Craigslist shops” doing repairs in a driveway, failing to pay taxes, and compensating employees under the table. Pulverenti said in an interview about a month ago that the legislation would have increased the worth of the collision repair industry in the state. Unfortunately, “we’re dead,” he said. The bill has been sent to a study committee by a bill opponent, where it will likely languish until the end of the session in 2016, according to Pulverenti. However, the existence of the bill was a win for the association, and it actually had better luck than Pulverenti had anticipated in the earlier interview, when a companion bill didn’t even exist in the House. “We actually got it introduced on the House side too,” he said Tuesday. That was House Bill 606. Besides, as he observed in our April 1 article, the big hurdle was getting the bill’s language approved by the Legislature as legally kosher. That gave repairers something tangible to show to lawmakers instead of just giving them a vague you-guys-should-do-this concept. “We’re not going to give up,” Pulverenti said Tuesday.